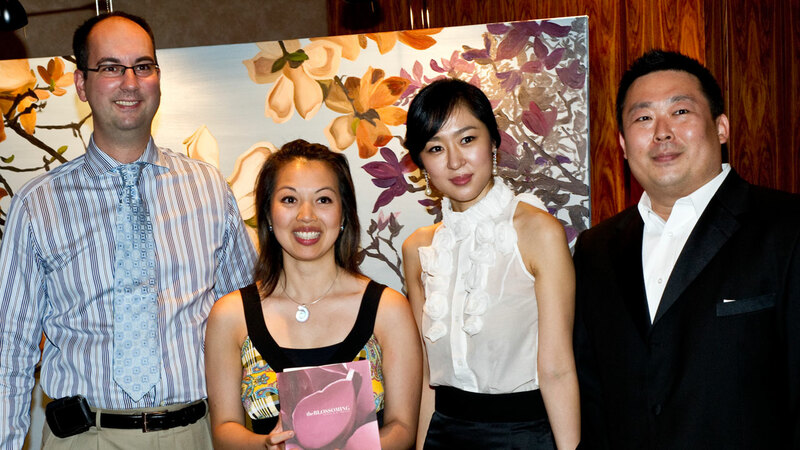 Vancouver, BC – On Monday the 14th of June 2010, artist Kelly E. K. Hwang exhibited her art collection publicly for the first time. 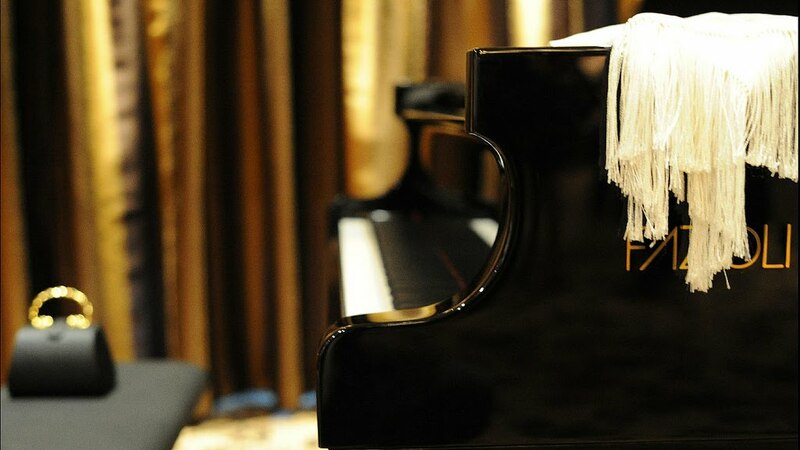 It was held in the Conway Room of Vancouver’s beautiful Shangri-La Hotel. 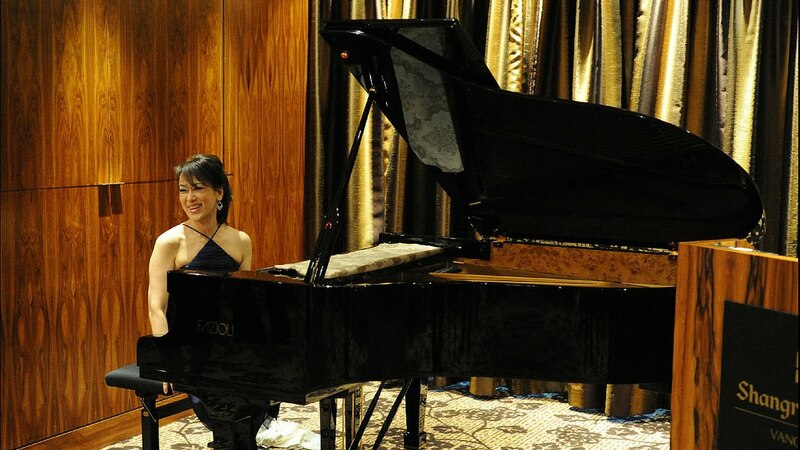 A lovely Fazioli F183 piano was provided by Showcase Pianos for the occasion, and was played on by a very talented local concert pianist. Kelly pursued her passion of fine art throught high school, following her best friend to another boarding school in Seattle for her final years. After graduation, Kelly was accepted into the prestigious schools of the Art Institute of Chicago and the Rhode Island School of Design. However, while attending a summer school program at Parson’s School of Design, Kelly was impressed by the quality of their instruction and stayed to cotinue her learning and to experience the virbrant New York lifestyle. Completeling one year at Parson’s, Kelly returned to Korea to begin another life chapter as a wife and mother. Consumed by her new responsibilities, Kelly lacked channels of self-expression and sought a creative outlet through a course in Children’s Art Analysis at the Hong Ik University in Seoul. But it wasn’t until Kelly’s move to Vancouver in 2003 that she was encouraged and liberated to pain again. Late in Vancouver was a chaotic adventure. Transplanted into a lonely new city, Kelly explored courses in hospitality and business managemnt. She met many new friends and began to rekindle her own social life along with her artistic love of self-expression. The abundance of magnlia trees in Vancouver reminded Kelly of her father’s garden. Each Spring, Kelly’s father would meticulously prune the magnolias from his park and flourish their home with the magnificient blossoms. 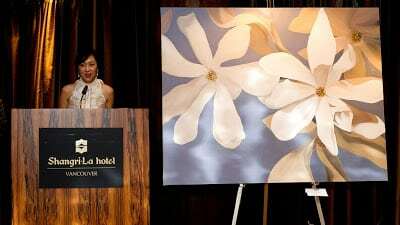 The first time Kelly gazed on Vancouver’s magnolias she was flooded with these memories and was wonderfully inspired to paint again. This re-growth of artistic life also became a time of therapeutic reflection and healing after the death and lingering loss of Kelly’s father. From Kelly’s perspective, the magnolia blossoms symbolize life: they bud, blood and fall. She sees them as transient, vulnerable and beautiful. May you look at her blossoming expressions and treasure the delicacy of your life and the relationships it flowers.